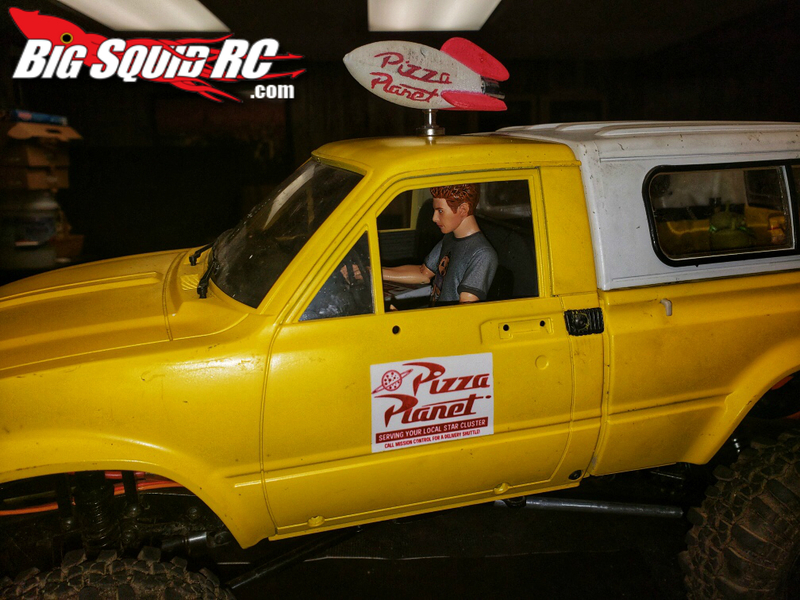 RC4WD PIZZA PLANET TRUCK Custom Build « Big Squid RC – RC Car and Truck News, Reviews, Videos, and More! The Pizza Planet Truck has had more then it’s fair share of screen time and has even become somewhat of an Easter Egg. This RC4WD Gelande II build comes right out of our very own Big Squid RC stable from Bill Stevens A.K.A the Wrench. 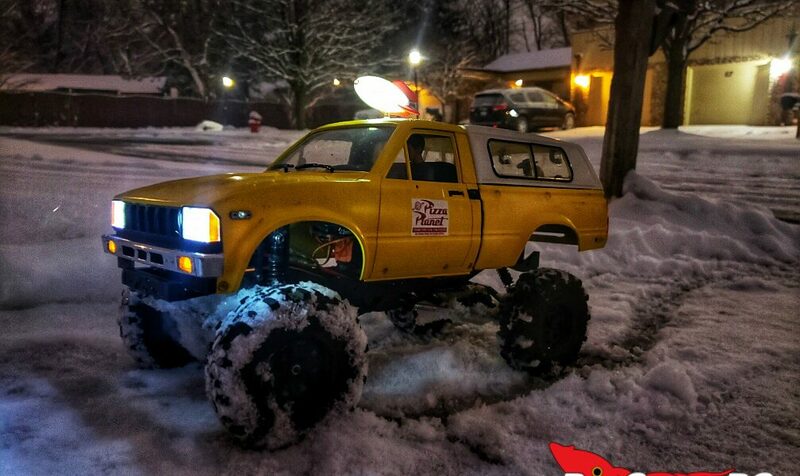 When I first got into the crawler community Bills Pizza Plant truck was the first custom rig I had ever seen and to this day it is still one of my favorite builds that I have seen. 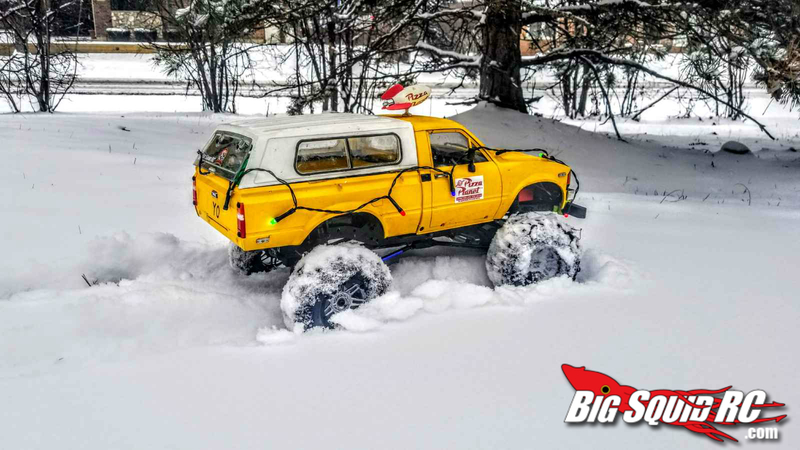 When Bill started the RC4WD Gelande II Pizza Planet truck about 2 years ago not only did he want to make a movie replica truck but he also wanted the rig to be able to hit the trails with the best of them. One thing you all need to know about the Wrench is that he does not build shelf Queens. 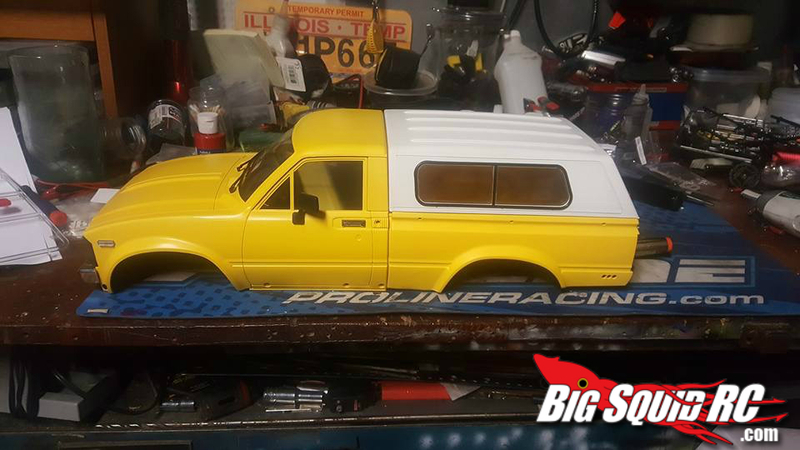 And from my personal experience, with using the RC4WD Gelande II chassis on the Farm Truck, you just can’t go wrong with using any RC4WD chassis as a foundation for a custom build! 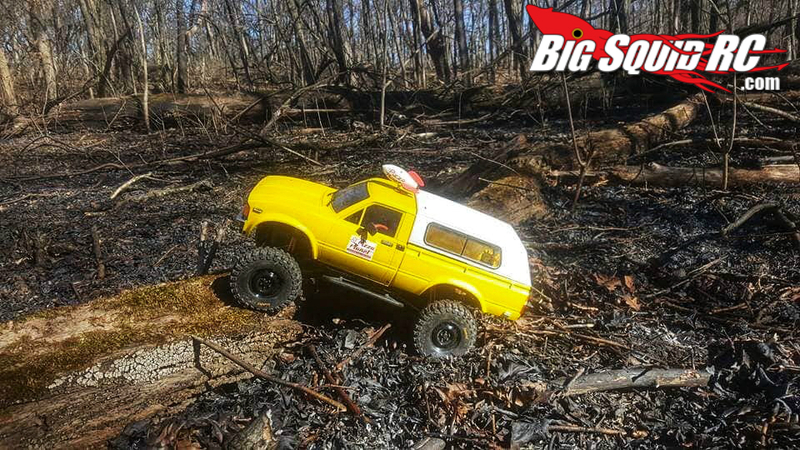 The Pizza Planet trucks body is the RC4WD Trailfinder Mojave 2 body set which is a dead ringer, with the RC4WD bed topper, to match its movie counter part. Bill was able to find Pizza Planet logo stickers online for the doors and the roof rocket was actually a keychain at one point. Wait, it gets better. 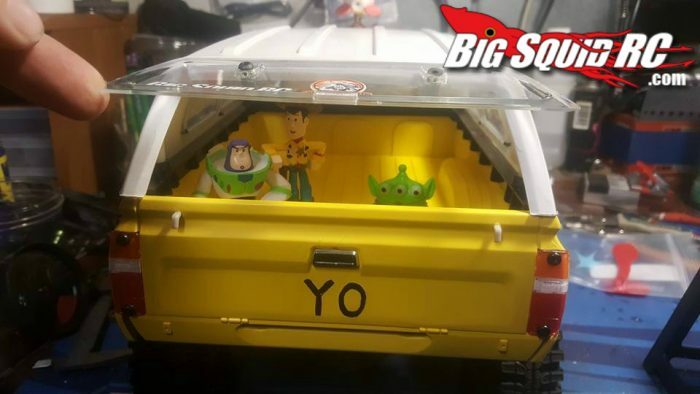 If you look in the bed of the Pizza Planet truck you will see Woody, Buzz and one of the claw machine aliens that are very close to scale representations of the toys. 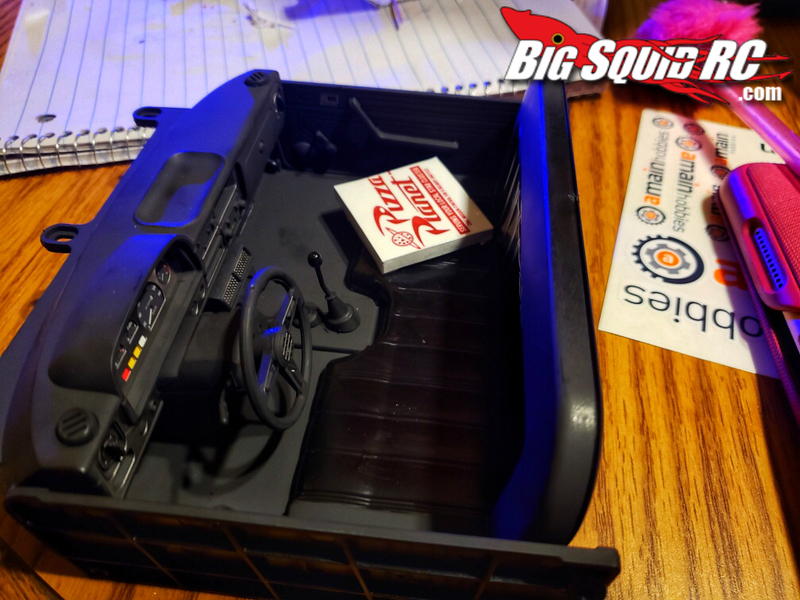 The Wrench didn’t stop there, also using the RC4WD Trailfinder 2 interior kit, and a little help from my scale figure surplus, he was able to have the punky looking pizza boy he needed as a driver with a hot pie in the passenger seat. Drilling holes or having to cut any RC4WD body is a difficult task to do because of the quality and craftsmanship of RC4WDs bodies. The last thing anyone wants to do is hack up a body they just spent a month or so working on just to make it fit a chassis. Bill made some custom body mounts for the RC4WD Gelande II and used velcro to attach the body to the frame; well played Wrench, well played! As for the RC4WD Gelande II chassis, Bill only had to do a couple things to get everything in working order. He had to use some longer links in the rear and had to relocate the rear shocks. Doing that put the rear wheels in the perfect position of the wheel wells on the Mojave body. All and all it’s really not that difficult or in-depth of a job. So, if you ever find your self in a jam with a slightly longer body than chassis it’s a relatively easy modification. 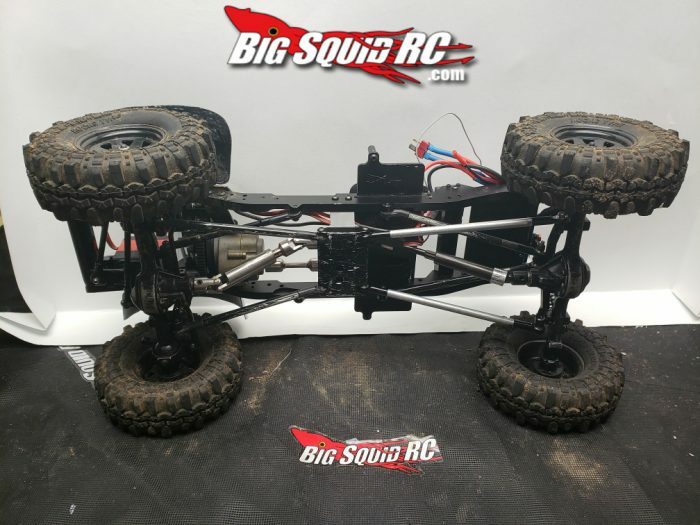 If you are looking into doing a custom build I would strongly suggest using any RC4WD chassis as a staring point. Not to mention product availability is plentiful. And if you have already built a custom rig using RC4WD as a platform we want to see it! 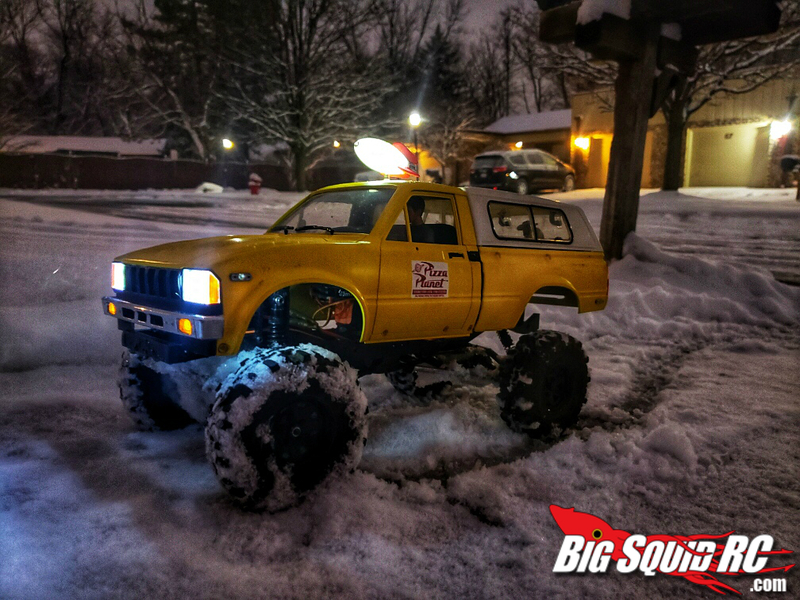 Email me @ Jeremy@Bigsquidrc.com, you could have your own rig featured on our web page or in an Everybody’s Scalin’ post. And remember you got a friend in me! Lol I hope that song is stuck in your head now, lol, so long Everyone! 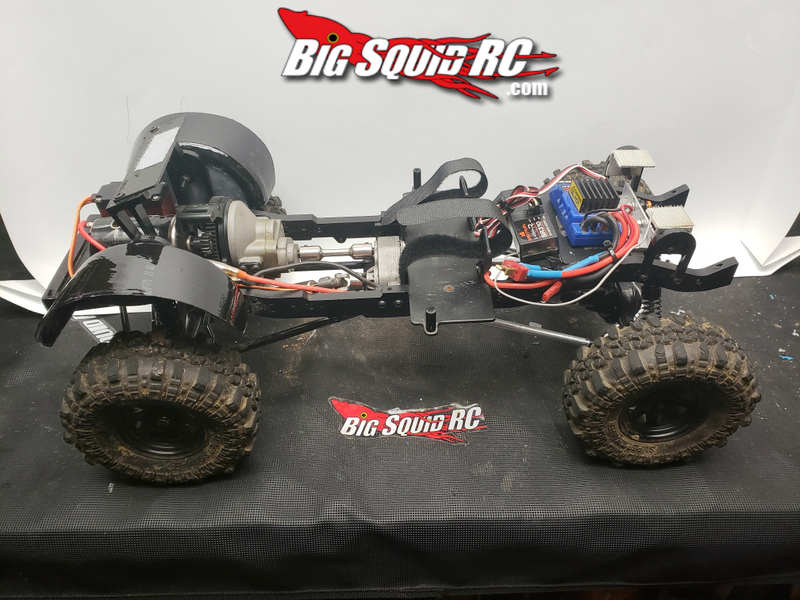 Get more RC4WD News right here on BigSquidRC.